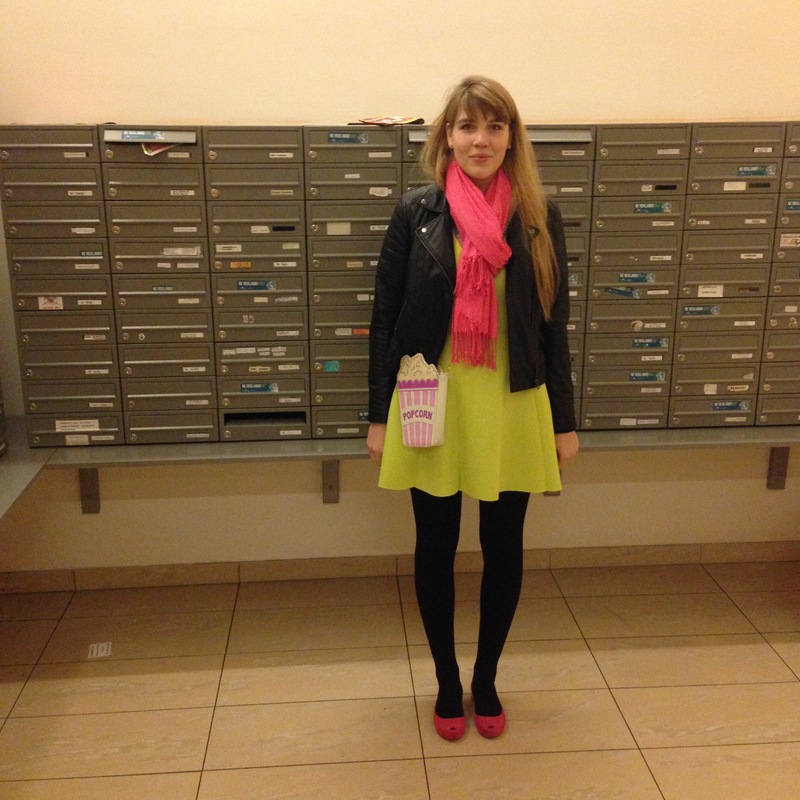 This outfit is from Sunday evening when my bestie convinced us to go out and see a movie. They weren’t playing anything I wanted to see and because anything is better than going to go see a modern Czech movie (old Czech movies are awesome, new Czech movies are THE WORST), we ended up going to see American Sniper. I knew M wanted to see it but I wasn’t really interested and had quite a bit of prejudice against the film to begin with but in the end I was happy to have seen it. It’s definitely one-sided and obviously pro-war, but the film doesn’t pretend to be something different. I would be interested in having a look at the book (American Sniper: The Autobiography of the Most Lethal Sniper in U.S. Military History) just to see how much of the movie is according to the book and what was changed. Now on to the outfit. Starting with the shoes. 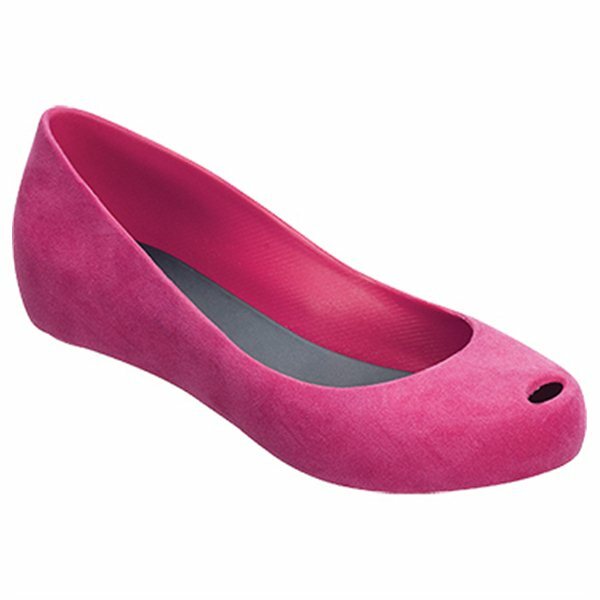 These are the Melissa Ultragirl flats that I got as a gift from M’s parents (last time I wore them here). 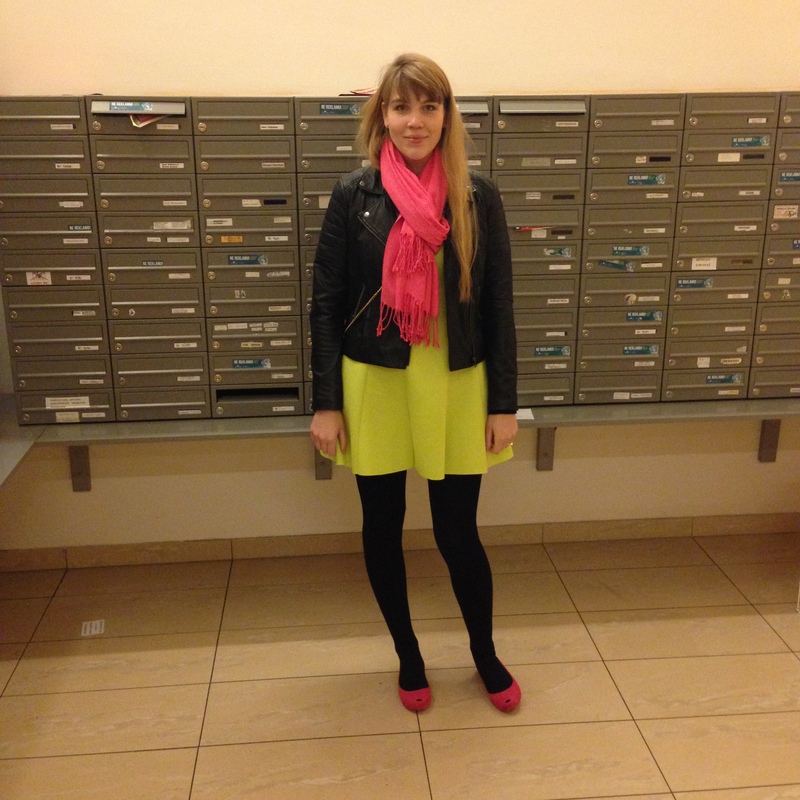 I thought it would be interesting to mix pink with lime, I had picked the dress out first. 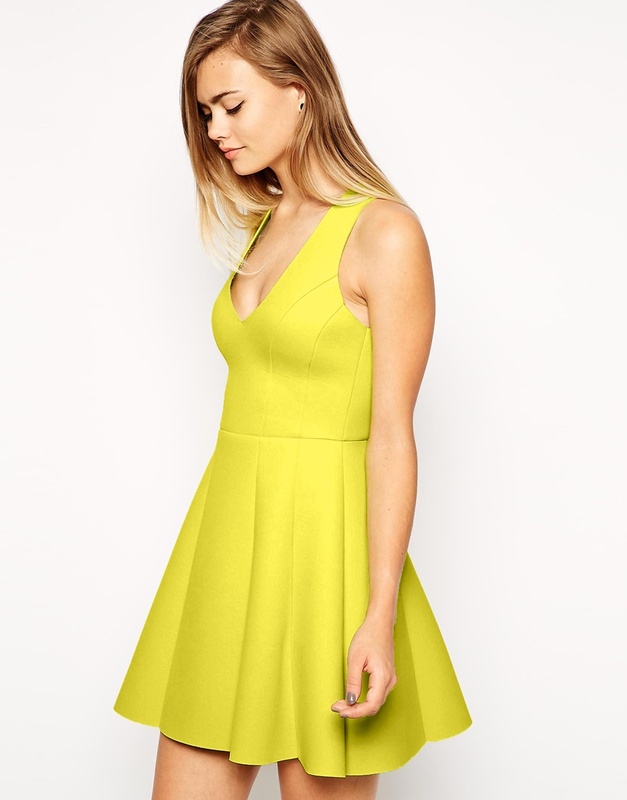 I wore this Asos lime green dress. I’d say the color is way more neon than in the product photos, but the reason I’m showing you the product images is because I didn’t get a back view photo and the dress has a lovely exposed zipper. 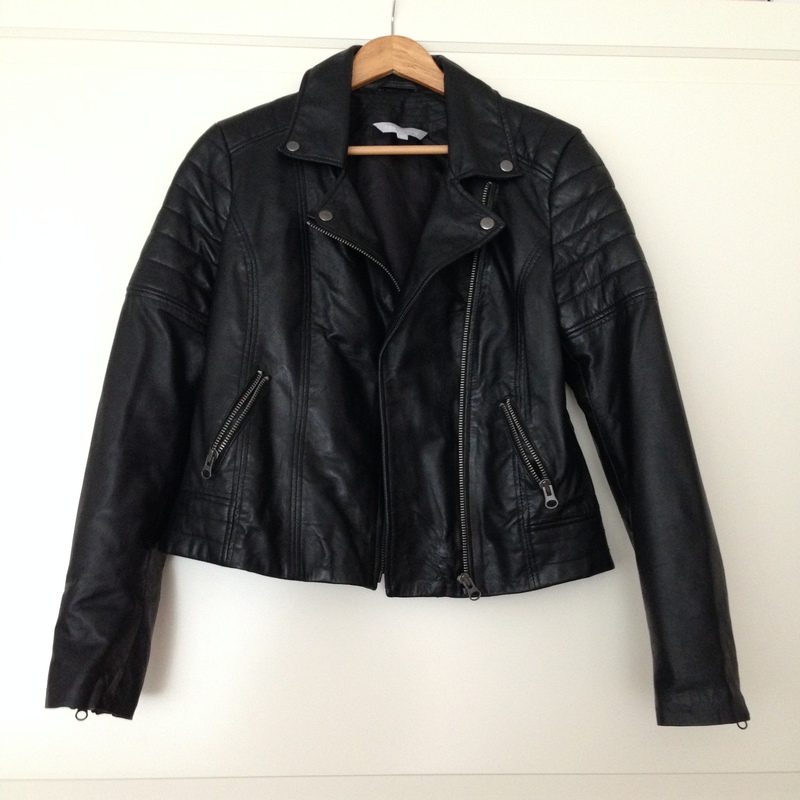 I wore my Debenham’s leather jacket that I bought the last time I was in London. Even though it is officially Spring now, the weather has gone crazy and it actually snowed yesterday. These pashmina scarves that I have in almost every color do keep me quite toasty but I also wore a black cardigan underneath my jacket and luckily we went by car, so I was warm enough. The most fun detail of my outfit was the bag. 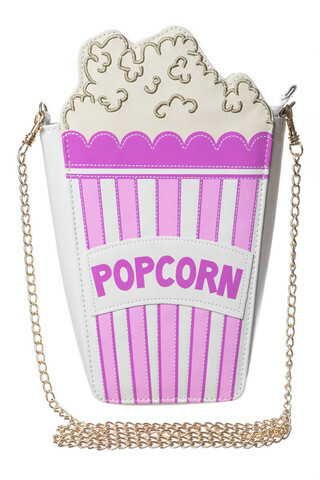 I fell in love with it the moment I saw it on the Asos website and knew it had to be mine (I am a avid movie goer so this bag is SO me), the bag is from Skinny Dip and it’s their Popcorn clutch/chain bag. It’s so cute! I hope you enjoyed this outfit post, I won’t be posting anything tomorrow but I should be back on Friday. Hope you are all well and see you soon! wow! you look very cute! love your outfit and that purse is awesome! i had mixed reservations about that movie before i watched it but was very glad i watched it, afterward. Thank you:) It was definitely an interesting movie. Those shoes are amazing! I need some Melissa’s in my life. I have that bag too, it’s great! I would never think of clashing those colours together, but it works. I know, I remember seeing it on your blog and then I stalked the hell out if it on Asos as it had been sold out at the time:)) and thanks, I thought it worked okay, perhaps not the best match but I really wanted to wear both the bag and the dress!